Overview: There are very few national relationships quite as complicated and enigmatic as the one that exists between the English and the Irish. For two peoples so interconnected by geography and history, the depth of animosity that is often expressed is difficult at times to understand. At the same time, historic links of family and clan, and common Gaelic roots, have at times fostered a degree of mutual regard, interdependence, and cooperation that is also occasionally hard to fathom. During World War I, for example, Ireland fought for the British Empire as part of that empire, and the Irish response to the call to arms was at times just as enthusiastic as that of other British dominions such as Canada, Australia, and New Zealand. And yet, at the same time, plots were unearthed to cooperate with the Germans in toppling British rule in Ireland, which would have virtually ensured an Allied defeat. In World War II, despite Irish neutrality, 12,000 Irish soldiers volunteered to join the Khaki line, returning after the war to the scorn and vitriol of a great many of their more radical countrymen. One of the most bitter and divisive struggles in the history of the British Isles, and in the history of the British Empire, played out over the question of Home Rule and Irish independence, and then later still as the British province of Northern Ireland grappled within itself for the right to secede from the United Kingdom or the right to remain. 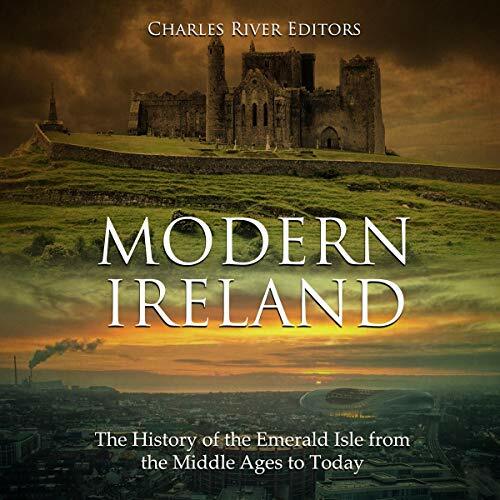 Overview: This engaging and provocative work consists of 29 chapters and discusses over 50 mostly nonfiction books that capture the development of Irish social and political thought since the early seventeenth century. Often steering clear of traditionally canonical Irish literature, Bryan Fanning and Tom Garvin debate the significance of their chosen texts and explore the controversy, debates and arguments that followed publication. The books chosen by Fanning and Garvin lay bare the conflicts that have shaped modern Ireland including those relating to the emergence and development of political nationalism, the rise and decline of Catholic power, authoritarian control of sexuality and debates about accountability and corruption. From Wolfe Tone’s frank autobiography to Nell McCafferty’s searing polemic against sexual hypocrisy, from the Catholic Catechism to James Connolly’s Labour in Irish History, from Jonathan Swift’s savage indignation to Flann O’Brien’s disintegrative satire, this book provides a fascinating discussion of how key Irish writers affected the life of their country by upholding or tearing down those matters held close to the heart, identity and habits of the Irish nation. Overview: In 1861 an Irish-born explorer emerged from the Australian outback, sole survivor of the country’s greatest expedition. Yet within weeks the handsome 22-year-old had been airbrushed from popular history. It was determined that King, an ‘Irish working man’ was an unsuitable champion and the two dead leaders of the party, the Anglo-Irish gentleman, Robert O’Hara Burke and English scientist William Wills, would be history’s heroes. Mentally and physically, King was a better equipped explorer than Burke or Wills.Educated at a Quaker primary school, King lived through the Great Famine, graduated after seven years at a tough Dublin military college, fought in the Indian Mutiny and was a teacher, linguist, musician, army sharpshooter, horseman and camel handler. This story reveals the string of injustices done to John King by powerful contemporaries and subsequent historians, and on the 150th anniversary of his survival, seeks to give him his rightful place in the Burke and Wills historiography.